Two boys set out on a long walk—thousands of miles apart. One, an American teenager, goes hiking for the challenge and fun of it, while the other, an African child, takes flight to save his life. Their backgrounds—and their purposes—could not be more different. Yet these two boys have something very important in common, something that may finally bring their paths together. Award-winning author of children’s books, Elsa Marston has written a story that emulates Rotary's Four-Way Test in creative and thought-provoking ways. With illustrations by June Allen, the book describes the 500-mile hike on the Appalachian Trail in 2013 by Morgan Scherer, an Indiana boy, to raise money for the school in Africa. 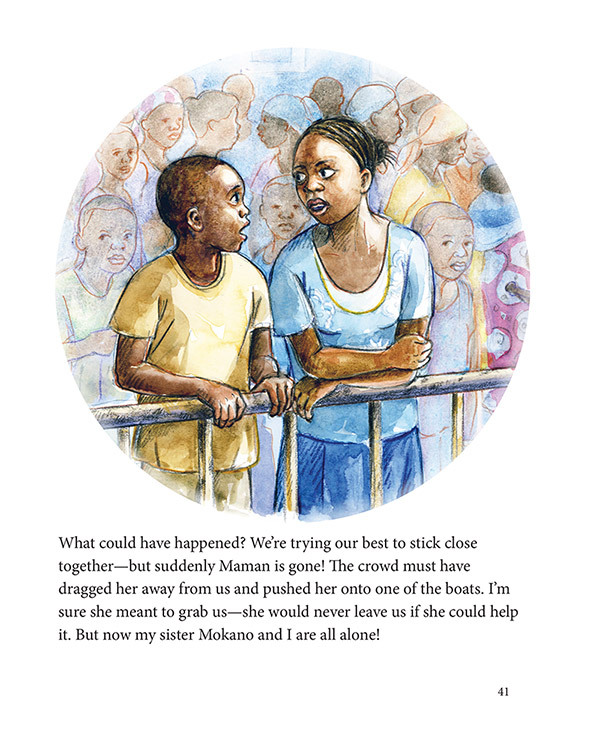 The narrative is interwoven with tales of a much longer walk to safety by a fictitious Congolese boy and his family, after the fighting in the eastern Congo drives them from their village.